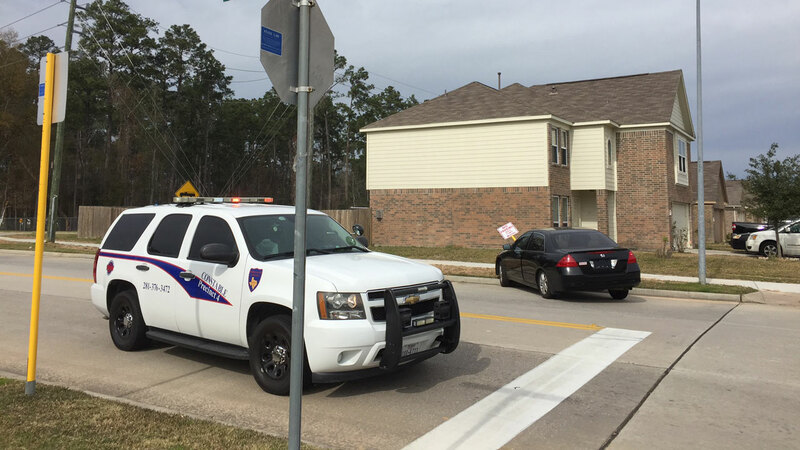 Officers are searching for at least two suspects in north Harris County. HARRIS COUNTY, TX (KTRK) -- Deputies are searching for some suspected thieves after a high speed chase in north Harris County. The Harris County Precinct 4 Constable's Office says it began at a dealership when at least two suspects leaped into a car and took off. Deputies gave chase, topping speeds of nearly 100 mph during the pursuit. The alleged thieves crashed the car into a pole on Cypresswood Point Avenue at Fox Cliff Lane and then ditched the vehicle. Officers are now working to find those suspects. Watch Eyewitness News at 6 and 10pm and stay tuned to abc13.com anytime for new details on this developing story.